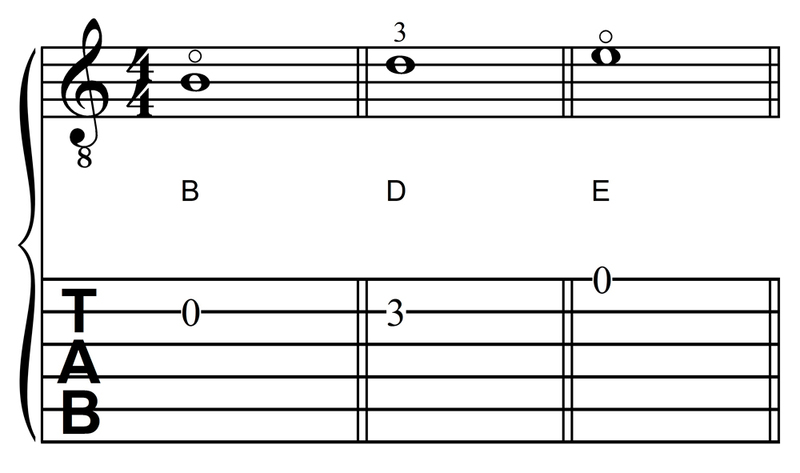 JLA Music - Learning Guitar Notes: B, D, and E - "Boppin' the Blues"
Learning Guitar Notes - B, D, and E: "Boppin' the Blues"
This page uses the notes B, D, and G, in first position on the first and second strings of the guitar. (First position incudes the open strings and the first four frets.) These particular notes are found as shown below. You may wish to consult the following page that describes generally-accepted characteristics of good fretting hand/arm and guitar-holding technique. 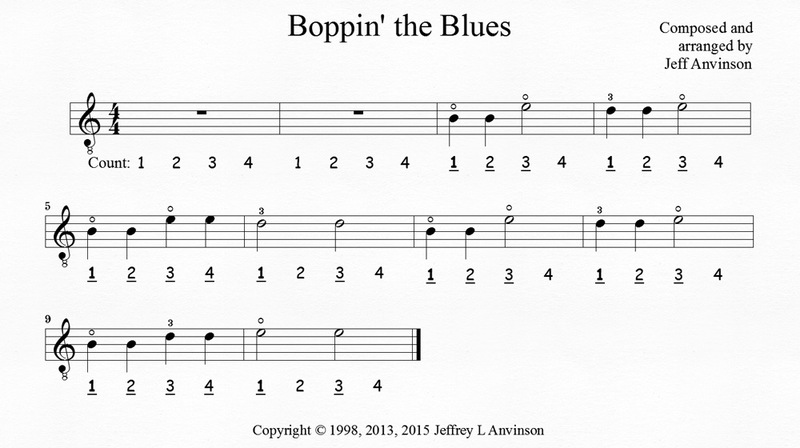 To help you learn these notes, try the following piece of music, "Boppin' the Blues". An audio accompaniment track is located directly below the music. Remember to count two measures of rest at the beginning. If your computer audio system allows you to play the track in stereo, the right channel is the guitar and the left channel is the accompaniment. Adjust the balance to the extreme right or left if you want to hear one or the other, in the center for both.